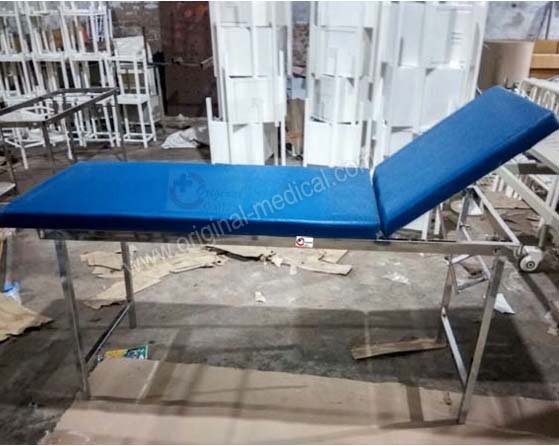 If you are looking for any types of hospital tables, like examination tables, operation theater tables, gyne tables, labour tables etc, you are right place here, because at Original Medical Equipment Company pvt.ltd we are worldwide hospital products suppliers and manufacturer. 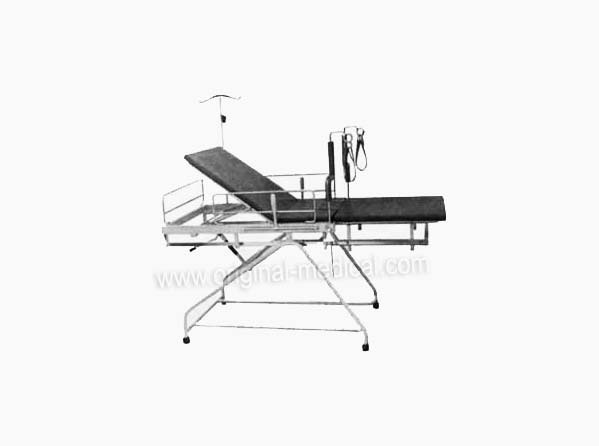 Three section Stainless steel top. Back rest on ratchet; head low/up by screw mechanism. Middle Section with 'U' notch with bucket/ bowl. Sliding foot end. Railings on three sides. Frame: 50 x 25 mm Rectangular Stainless steel top Available in full stainless steel/stainless steel top & epoxy powder coated base. 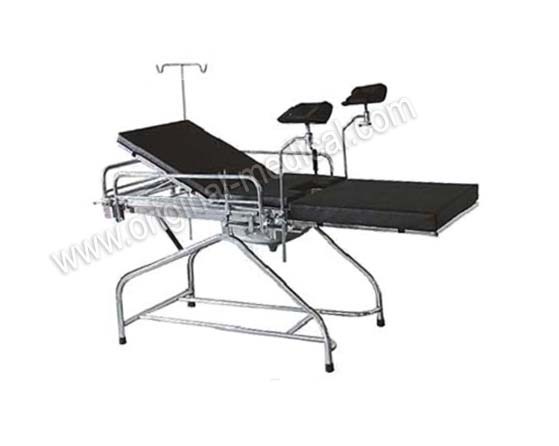 Lithotomy bars Gutter type/ Leather strip type. 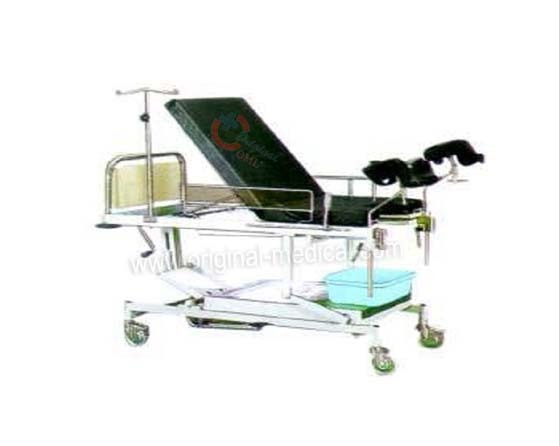 Also contact us for hospital beds, ward beds, surgical beds, other medical furnitures.